It should come as no surprise that the West End is a community filled with pride. That’s why, for the 37th consecutive year, the West End is home to Vancouver Pride, one of the most diverse festivals in the city. 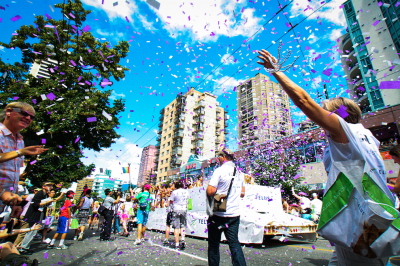 Drawing hundreds of thousands of people to the West End, Pride 2015 boasts over 20 events throughout the summer including the annual Davie Street Party on July 31 and the Vancouver Pride Parade on August 2. The West End BIA is proud to support the Vancouver Pride Society, and their mandate to bring together members of the Gay, Lesbian, Bisexual, Transgender and Two-Spirit community, their friends, allies and supporters in celebration of the unique spirit and culture of the LGBTQ2+ community. Curious to learn more about what they’re working on? Check out their website. 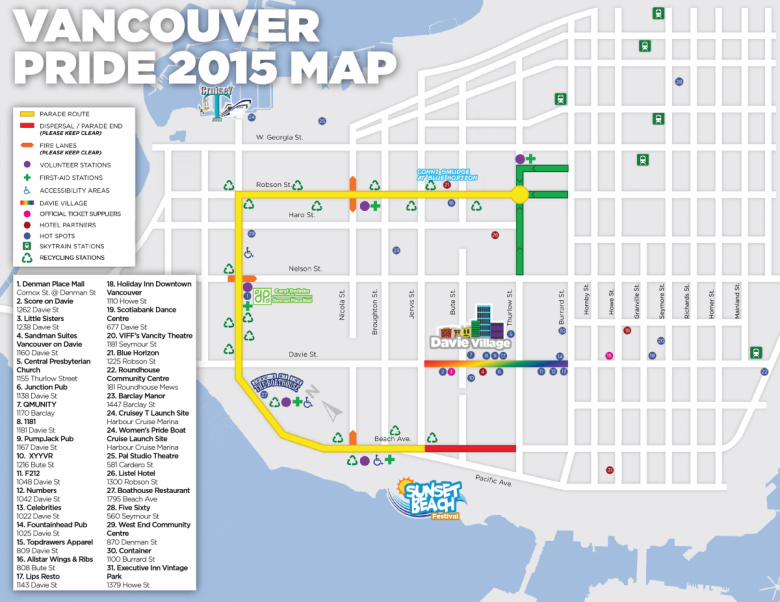 The 2015 Vancouver Pride Parade map is below! Print it off and use it as a guide for your adventures in the West End. Happy Pride!